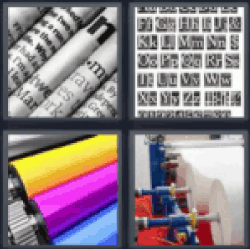 4 Pics 1 Word Newspaper. Alphabet. Yellow purple blue. Paper on rolls.